Expedition 329 – The Fun Stuff! Wow! I can’t believe it’s been almost a year since Expedition 336 set sail from Barbados. The scientists have all been super busy analyzing the samples and data we collected on the cruise, and it’s almost time to hear their results! The data from each expedition aboard the JOIDES Resolution enters what’s called a moratorium for a year after the cruise ends. That means that the scientists who participated in the expedition, plus any other pre-approved scientists who stayed onshore, have exclusive rights to publish any results obtained from that data. That way, they can be sure that their efforts before, during and after the expedition will result in publications for their lab and working groups. After the moratorium is over, the data become available to the public: any scientist who is interested can request data and/or samples from the expedition to analyze and publish in their own way. So what have the Expedition 336 scientists been up to in the year since the expedition? Read on to find out! CORK-Lite: Bringing Legacy Boreholes Back to Life: Remember that hole we had to abandon because the drill bit broke off—U1383B? Co-Chief Scientist Katrina Edwards will be presenting a newly designed CORK that can be deployed by a remotely operated vehicle (ROV). The design and operations for this new “CORK-lite” were conceived at sea, and it was successfully deployed with the ROV Jason four months after the expedition! Oxygen consumption in subseafloor basaltic crust: Microbiologist Beth Orcutt will present the first measure of oxygen consumption in young, cool basaltic crust in order to determine if there is sufficient energy to support a subsurface crustal biosphere. 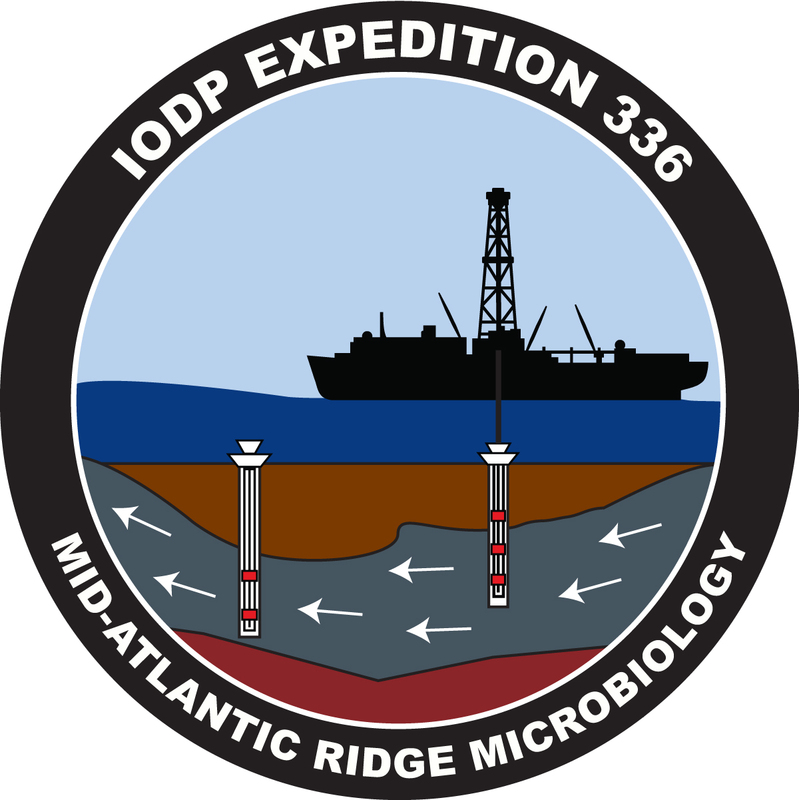 Investigating the deep biosphere using downhole measurements: Logging Staff Scientist Louise Anderson will be presenting results from the downhole measurements, including those from the Deep Exploration Biosphere Investigative tool (DEBI-t). This tool was specifically designed and built for Expedition 336 to assess the presence and distribution of microbial communities in boreholes using laser induced native fluorescence. What an exciting time for the scientists from Expedition 336! I wish I could join them at AGU this year to hear more about all the investigations that began onboard the JR last fall!